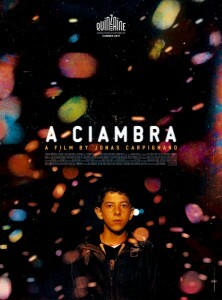 (A Ciambra is a 2017 Italian drama film directed by Jonas Carpignano. Following it’s debut at Cannes, the film screened at the 2017 Toronto International Film Festival where our Matthew Delman got a chance to speak with Carpignano). Jonas Carpignano’s new film, A Ciambra, shifts its focus to one of the scene-stealing supporting characters from his debut feature Mediterranea. Fourteen year-old Pio Amato admires his older brother Cosimo, who teaches him how to steal and other necessary skills for life on the streets of their small Romani community in Calabria, Italy. When Cosimo is arrested, Pio must step into his brother’s shoes and support his family — growing up fast in an unforgiving world. Hammer to Nail: Both Mediterranea and A Ciambra have strong themes of brotherhood. Do you have an older brother? Jonas Carpignano: It’s complicated. I don’t have a biological older brother. But when I was 6 years old, my family adopted someone – they adopted this dude from our neighborhood, who at the time was 16, to live with us. I grew up with him for 15 years in the house as my brother. He still lives with my parents. Because of trouble he got into as a kid, my parents asked him to come off the street. He’s the sweetest person in the world. He’s wild, to say the least. It’s hard to talk about. He’s very different than me. He has 7 kids, he works at UPS. He’s had his problems in the past with the law. HtN: How did he influence these movies? JC: Definitely moreso the second one than the first one. I wouldn’t say it’s based on us. But the idea of this rage that comes in you, from trying to be better than your brother, or be like him, or follow him, is something than I can definitely relate to. Like the scene where he’s breaking the door down, that’s something that I did to my brother when I was 6 years old. For personal reasons I wanted to kill him. *Laughs*. That ferocious showing of love through aggression is something that I could relate to and something I latched onto when I saw it in Pio and his brother as well. HtN: How did you assimilate with Pio’s family? JC: I became friends with Pio very early on. The first 8 months I was there I was playing football (soccer) with the kids, letting them use my internet. To make the short film I needed his brother, who wasn’t into it, so Pio and I had to convince him, and then convince his father and his mother, and through this convincing we became very close. As we made the short film we became even closer. I became a regular in the house. HtN: Do you think he saw you as a big-brother figure? JC: I think he does now. I think at first he saw me as a novelty. To this day, people in the town don’t understand how I was invited into their houses. I’ve been to every single house in the Ciambra. They clearly responded to someone who is actually interested in getting to know them, as opposed to someone who went there because they needed something. HtN: You earned their trust. Do they want to make the third in the trilogy? JC: They want to work nonstop. When you’re in a place where nothing comes in or out, that breath of fresh air of having different people there working, the rhythm of something happening, it’s something they clearly appreciate. There’s an intricate social tapestry there, and you can’t do justice to it in just one movie. I feel compelled to show many perspectives so that one can get an all-encompassing look at the place. HtN: I loved the music in the film. It was jarring for me to hear that pop song with that ending. Can you talk about that choice? JC: Every single song in the film was written in drafts, except for that song. As we started shooting in April, that song was constantly playing in the Ciambra. For 91 days hearing that song everyday, it remained with me. But while we were in the heat of shooting, we didn’t really process it. I didn’t have the mental space to make that change in the heat of the battle. We had another song written for the end, but that song (Faded by Alan Walker) for me was so linked to that time and that place that we had to use it. It wasn’t an intellectual choice, it was an emotional reality. We had lived that story at a time when that song was omnipresent. I never put a song in a film that the protagonists don’t also listen to. When we’re trying to make a film so deeply rooted in Pio’s perspective, it should also echo his sonic landscape. Because that song had been everywhere, it felt like that had to be the last song that reverberated through the Ciambra. HtN: The moment in the film that really brought it home for me was when Pio puts his arms around Koudous on the motorbike, (he holds onto the back of the bike in the rest of the film). What did that moment mean to you? JC: That moment meant everything to me. It’s the moment that gets me the most emotional as well. The end of the film is very much about how difficult it is to leave the social architecture of your community. If there’s ever going to be some sort of solidarity between the African community and the Gypsy community, it will be through someone like Pio. JC: It’s not about the decision Pio made, it’s about how he feels about that decision. Ultimately, when our backs are against the wall, we all fall back on our identity — we all resort to some sort of tribalism. We all want to feel safe in our social net. But the fact that he feels bad about it is a major step that that community can create bonds outside itself. I do believe, or I hope, that one day there will be solidarity between these two marginalized communities, and if they can create a network between them, both of their communities can flourish.